A fast-tracked bill that moved out of a state Senate committee on Wednesday would require public unions to vote to recertify every two years. Workers in public employee unions would be required to vote every two years on whether they want their union to continue to represent them under a bill sponsored by the Republican state Senate leader. 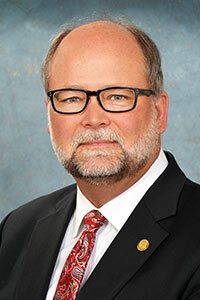 Senate Bill 1260, introduced Tuesday by Senate Majority Leader Arlan Meekhof, was voted out of committee early Wednesday morning by a party-line vote. It hasn’t yet been scheduled for a vote in the full Senate. “This is about democracy and it's about giving public (union) employees a choice and a voice in who represents them at work,” said F. Vincent Vernuccio, a senior fellow at the Mackinac Center for Public Policy, a market-oriented think tank based in Midland. As many as 250,000 workers statewide may be represented by public unions, based on federal data, and labor groups on Wednesday decried the measure as anti-union. Under the bill, unions would have to cover costs of the election — and the names of all members eligible to vote would be published online before recertification votes. “Our union considers it a direct affront to our ability to exercise our rights,” said Julie Rowe, legislative mobilization coordinator for the American Federation of Teachers Michigan, which represents more than 30,000 teachers in the state. The bill also includes a $500,000 appropriation, which would make it immune to a citizen referendum. The bill from Meekhof, R-West Olive, follows efforts by conservative interest groups to influence policy in Republican-held, lame-duck state legislatures, and it strongly resembles a model policy finalized in September by the American Legislative Exchange Council, or ALEC, a conservative organization that creates model policies for state lawmakers around free-market ideas. The group has ties to the billionaires Charles and David Koch. Union recertification reportedly is one of several model bills that would impact union powers that ALEC is advocating for in the states, according to a recent story in Governing magazine. A message seeking comment was left for ALEC on Wednesday. Meekhof spokeswoman Amber McCann downplayed the connection, saying the bill is one of the last items on his to-do list before he is termed out of office this month. “I know that there are popular movements around the country from conservative entities to push some of these legislative options, but Senator Meekhof has been interested in it for a long time and was not influenced by any one entity, but rather just his own ideology,” she said. She pointed out that national liberal groups also have tried to influence Michigan policy, referring to Washington, D.C.-based liberal organizations that backed citizen-initiated laws to require paid sick leave and increase Michigan’s minimum wage. The bill would amend Michigan’s Public Employment Relations Act of 1947, which spells out collective bargaining rights for public employees. The bill would require public employees who work for entities represented by labor unions to vote every two years, starting in 2022, on whether they want that union to continue to represent them. The existing union would be allowed to continue representing workers if the vote tally reflects a majority of the votes cast, and that majority also “represents at least 50% of the public employees in the unit,” according to the bill language. If it doesn’t, the union no longer would represent the employees, though an existing contract would continue to be honored until it expires — with the exception of provisions allowing such union duties as handling grievances. Some details about the bill weren’t immediately clear Wednesday, including whether it would require all union locals to recertify. It’s not uncommon for school districts, for instance, to have five or more locals apiece. The 50 percent majority required to recertify a union would come from all workers represented by the bargaining unit — not just those who are dues-paying members, said McCann, Meekhof's spokeswoman, and Nick Ciaramitaro, legislation and public policy director for AFSCME Michigan. Supporters of the legislation say it would give workers a greater voice in representation. Now, in order to challenge an already-existing bargaining unit, a majority of members must call for a certification vote. That’s a tall order, said Vernuccio, the Mackinac Center fellow. “They are up against a well-financed, highly experienced union,” he said. Union leaders told Bridge they believe the legislation is an attempt to distract union workers from participating in the electoral process, since the elections would be held over a weeklong period between August and November in even-numbered years. That inevitably would coincide with statewide primary and general elections. “It just keeps people busy, and therefore keeps them out of the public sphere, because I think that’s the real motivation,” said Ciaramitaro of AFSCME. "The members of this Legislature — which is not accountable to anybody anymore because most of them are term-limited or out of office at the end of the year — don’t like the way certain people are voting and want to distract them from participating in the electoral process,” he said. 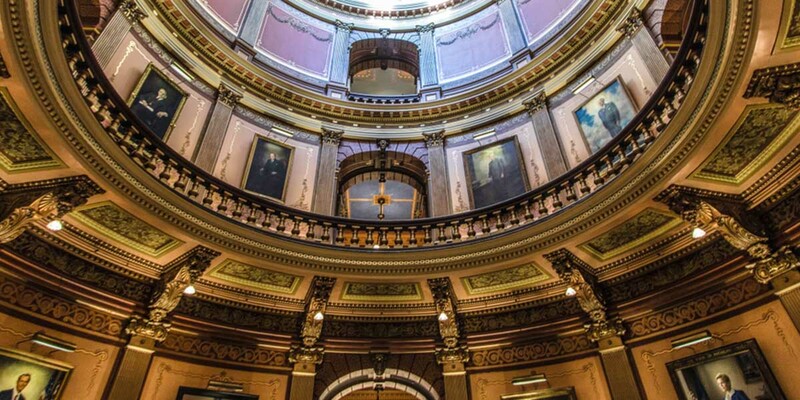 Meekhof’s bill is supported by the National Federation of Independent Business, the Midland-based free-market think tank Mackinac Center for Public Policy, Americans for Prosperity and the Michigan Freedom Fund. Bridge reporter Mike Wilkinson contributed to this report. The list of organizations behind this bill are a cartoonish alliance of anti-Union, anti-worker forces. Why not add the Pinkertons, to really round out the group? If our unions are doing as they should for its members, and I will help where there might by misunderstandings, then this LAME DUCK bill is NO BIG DEAL!! The bill requires the union to pay for the election. This is yet another unfunded mandate. With Right-to-Work already in place, this is a solution in search of a problem. Rep-Elect Johnson, this is a dangerously uninformed position to take. This is not about CHOICE - with Right to Work and the JANUS ruling, union members already have choices. This is simply about burdening unions and making contracts unstable, damaging stability. If it was simply about choice, do you really feel that it would have been introduced by Sen. Meekhof, in lame duck? Or that it would have the support of the DeVos family? You may want to look into this bill and its consequences, intended and unintended alike, before voicing support. If you were truly a democratic sister then you'd support legislation like this to go to a public vote, not a lame duck session last pass of a Senator who is terming out. This is more shady knee capping by GOP and in nobody's best interest. If it's no big deal then why the $500,000 appropriation, which would make it immune to a citizen referendum? Your response is disingenuous at best. You serve the people, behave and vote accordingly or get out. It’s time to end the practice of Lame Duck shenanigans. Bring bills out before we vote. If you can’t do that there is something wrong with your bill. This is a colossal waste of time and resources. In states that have adopted similar legislation, like Iowa, workers supporting unions have won virtually all of these elections. It's just a strategy designed to make life harder for public employees and the organizations that they support. The supporters of this bill are trying to suffocate their enemies because they can't win the real arguments. Shame! Writers everywhere-please stop calling the Mackinac Center a “think tank”. They are not! They are an arm of the anti-union Republican Party and disguise their efforts through the “think tank” descriptor. It is deceiving to all. While you are at it, do us all a favor and stop quoting them too. I say pass this recertification. The unions should pay for it. In alma strike pay is $50.00 a week. The union does nothing for the people. The union rep. in alma is a lying company yes man. To have him represent you is certain loss. I vote to pass this bill 100%! !